»» Download InPixio Photo Editor for free! InPixio Photo Editor ::: a computer program that allows users to edit photos. Using InPixio Photo Editor can resize, crop, distort and transform digital photos. »» Download AML Fast Audio Converter for free! AML Fast Audio Converter ::: a computer program that allows users to convert audio files. Using AML Fast Audio Converter, the music conversion is much simpler and faster. »» Download Easy DVD Converter for free! Easy DVD Converter ::: a computer program that allows users to rip video from video DVDs. Using Easy DVD Converter you can convert DVDs into various video formats. »» Download AML Power Video Converter for free! AML Power Video Converter ::: a computer program that allows users to convert between different video file formats. Using AML Power Video Converter, the video conversion is a much simpler and more efficient work. »» Download Movavi Photo Editor for free! Movavi Photo Editor ::: a computer program that allows users to edit digital photos. 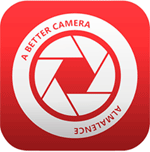 Using Movavi Photo Editor you can cut, rotate, resize or convert images. »» Download All Video to Audio Converter for free! All Video to Audio Converter ::: a computer program used to extract audio from video files. 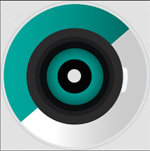 Using All Video to Audio Converter you can extract audio from the most popular video formats. »» Download Free Video Watermark Maker for free! Free Video Watermark Maker ::: a computer program that allows users to apply watermarks to video files. Using Free Video Watermark Maker you can use images or simple text for watermarks. »» Download Hidden Disk for free! »» Download MDE for free! »» Download CarotDAV for free! CarotDAV ::: a computer program that allows users to transfer files. Using CarotDAV, you can manage the transfers to different destinations.